And one reason not to stay there! The lake city of Udaipur is one of the most romantic locations in India. Built by Maharana Udai Sing II in 1559 AD around an artificial Lake named Pichola, Udaipur is often referred to as the Venice of the East. 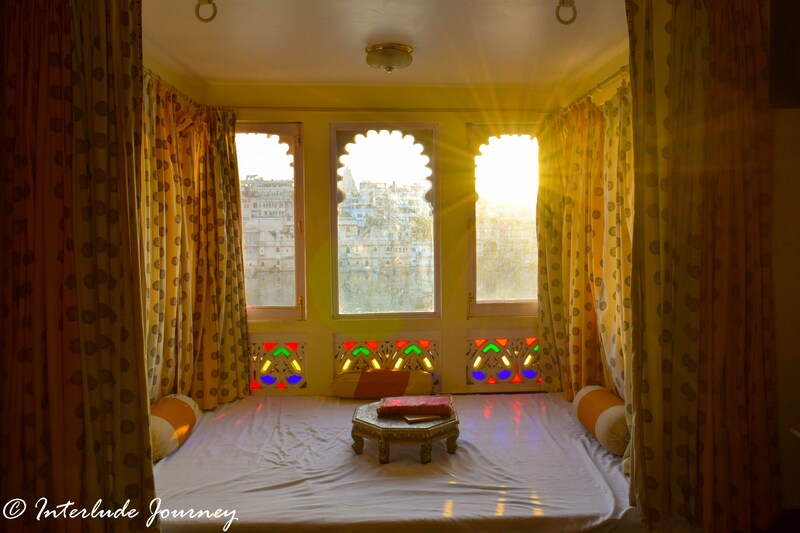 Since many of the tourist attractions of the city are situated in the old city around Lake Pichola, it is wise to stay in one of the hotels surrounding the lake. 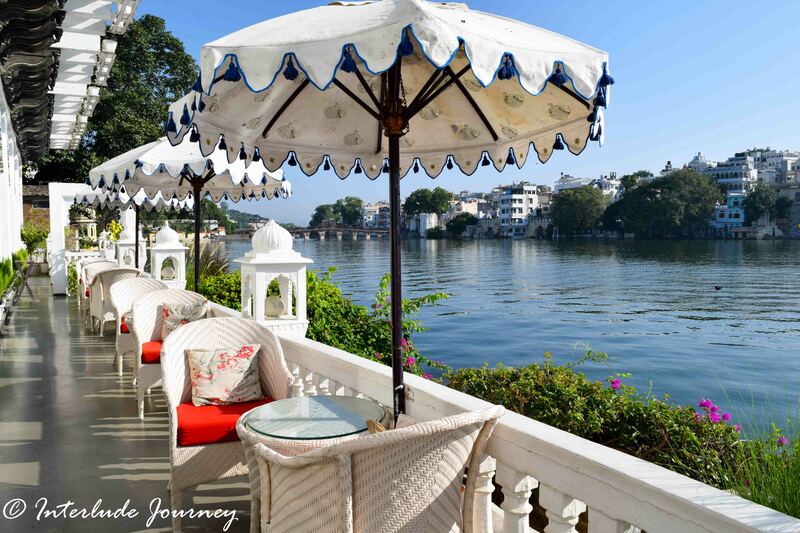 During our recent visit to Udaipur, we chose to stay at Hotel Lake Pichola located right on the banks of the lake. Here are 10 reasons that compelled us to choose our stay at this regal hotel. Hotel Lake Pichola is located on the Brahmapuri Island on the western banks of Lake Pichola. Staying at this hotel is like staying in the center of all the action. 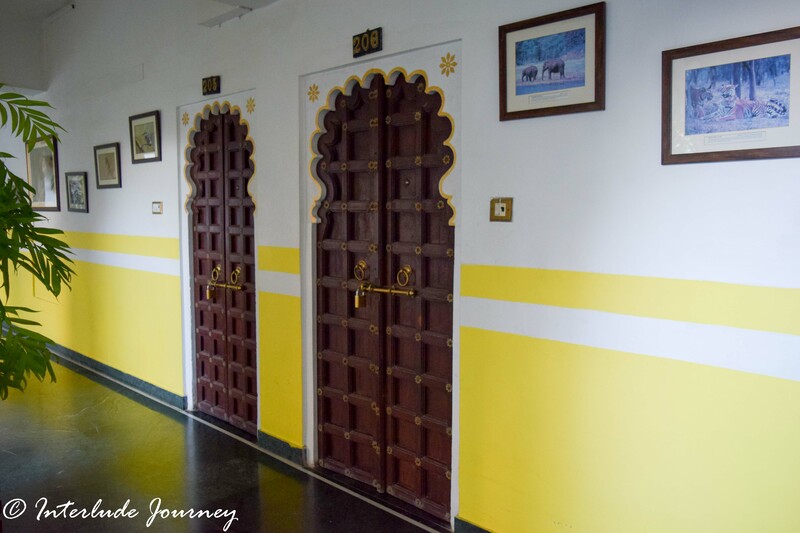 The hotel is located very close to most of the popular tourist attractions like City Palace, Lake palace, islands, Bagore Ki Haveli and Gangaur Ghat. 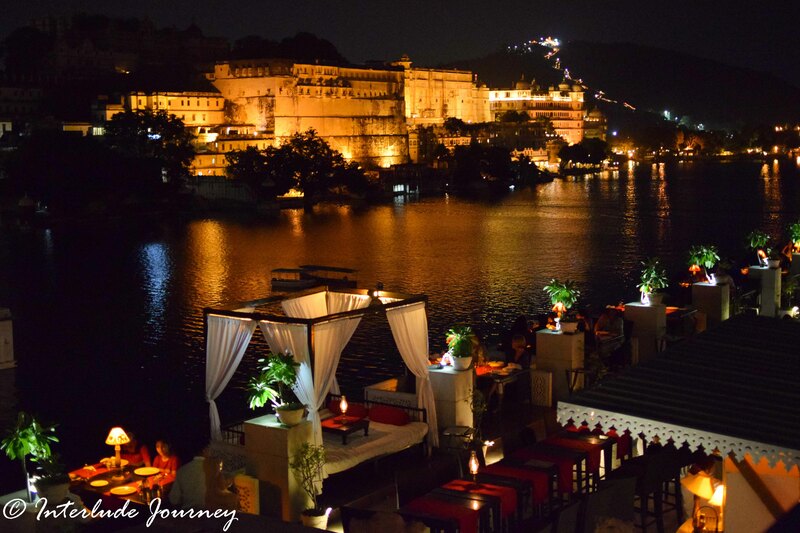 The roof top restaurant UPRE – 1559 AD is arguably one of the most romantic restaurants in Udaipur providing a panoramic view of the old city and the city palace. The Maharana restaurant with its majestic decor serves both Indian and Rajasthani cuisine by the lakeside offering a splendid view of the city palace. The hotel offers live cultural and folk performances for its guests at the restaurants during each meal. The area surrounding the hotel is a shoppers paradise. If you wish to go out shopping for souveniers, you just have to stroll in the bylanes around this hotel. The hotel is actually an old mansion which was earlier called as Piplia haveli and has now been renovated into a heritage hotel.How would you fancy staying in a 180-year-old haveli? The hotel provides ample opportunities for photography. Be it the corridor by the lake side or the roof top restaurant or the jharokhas of the lake facing rooms- they all offer breathtaking views of the lake from different angles. The hotel provides all the modern amenities such as free wifi, laundry, spa, safety lockers, geyser, kettle and TV. It has different types of rooms which cater the requirements of all types of guests. 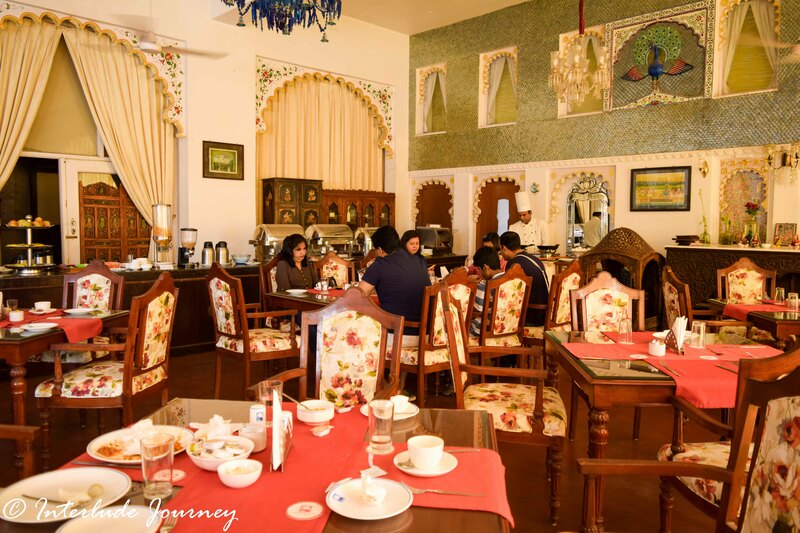 The hotel is located in the old town of Udaipur. Would you not wish to stay in the heart of the city and have a peek into the local’s life? Lastly, the only reason you might not like this hotel is because of the narrow lanes you will have to negotiate to reach it. The alleys are manageable during normal days but they get extremely crowded during festivals. So, choose the hotel depending on the time of your stay. You would not go wrong in choosing Hotel Lake Pichola for your stay in Udaipur. Make sure you directly book on the hotel’s website to get the best deals. 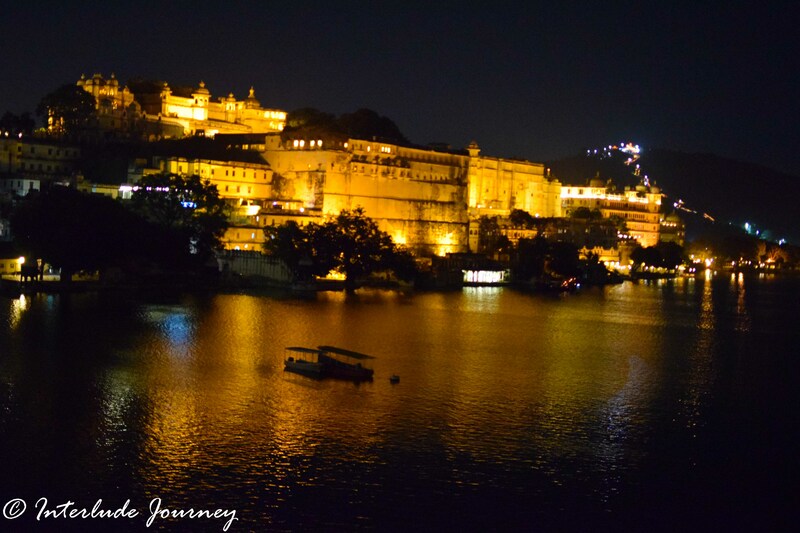 We also have a great itinerary to explore Udaipur like a pro in 24 hours. Disclaimer: We choose to stay at Hotel Lake Pichola after a lot of research about hotels in Udaipur. Luckily, when we approached them, they happily agreed to sponsor our stay at their hotel. As always, all the views presented here are our own and we would never recommend anything which we have not experienced and liked. wow it looks stunning! I most like the shot of the roof terrace. What was the best activity you did while you were there? Hi Amanda. We loved the view from rooftop too. 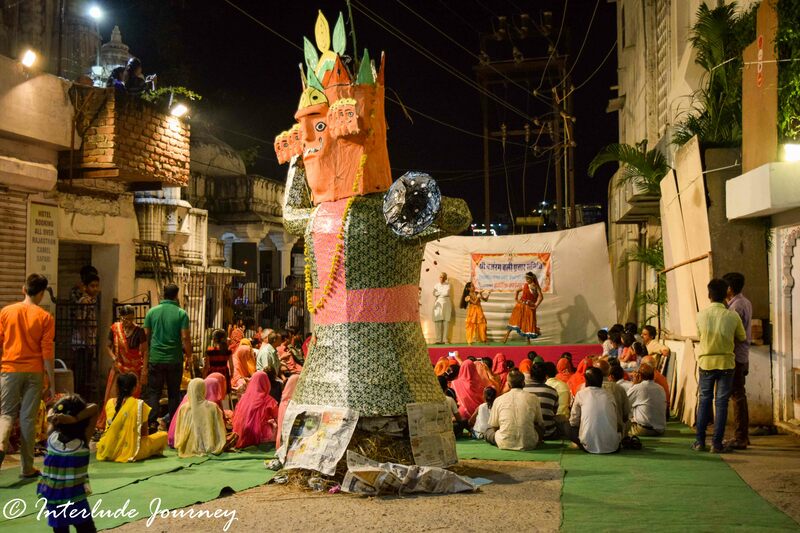 The best thing for us was to witness the locals celebrate Dushera. Looks amazing! Especially, the roof top restaurant (which seems pretty romantic!)! Great article! Hey Nat. True that the restaurant is the most romantic part about the hotel. This places looks incredible – especially the rooftop terrace. As you say – very romantic! This looks grand and exciting. Definitely a paradise for those who love shopping for souvenirs or those who just want to take nice photographs or take some practicing in photography. Exactly Andi. This hotel is a photographers paradise. Looks like a lovely hotel. Your photos are great! Hey Claire. India is indeed Incredible. You should definitely visit it to experience it. We are sure you will love your Adventure in India. Oh this is gorgeous! So many beautiful details. Convinced! Awesome! Thanks for dropping by! recent articles are convincing me to go to India! I am really considering! lots of things to do and fabulous places to stay at!!! 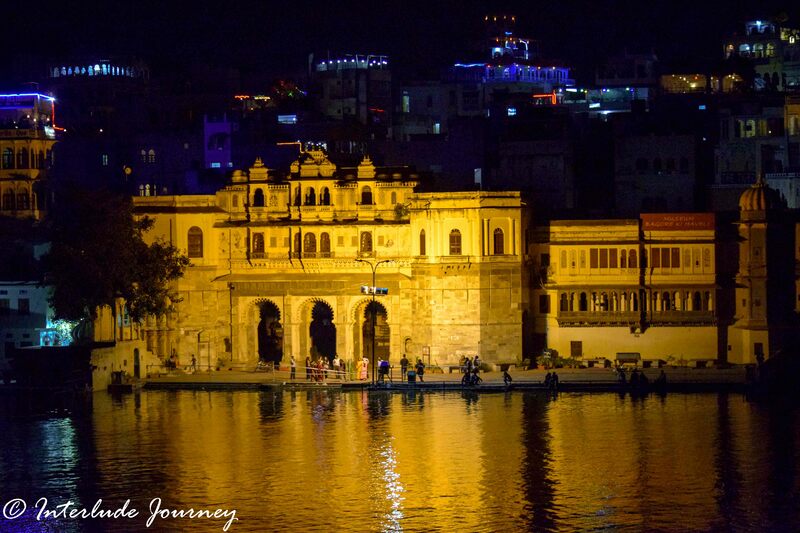 would love to spend time in Udaipur! You should definitely try Udaipur Erica. It is quite a magical place. Hi Neha. Thanks for dropping by. You definitely should try a stay at Hotel Lake Pichola. You would love it. I love learning about new places through blogs. They seem to come much more alive than reading guidebooks. Lake Pichola sounds gorgeous and the hotel does, too. We completely agree about the Guide books Carol. They cannot define a destination as good as a blog can. Wow, this hotel looks amazing! I love that it’s in the perfect location and has such amazing views. It seems like a photographers paradise! Hi Vicky. True that the hotel is at a perfect location and the views are amazing. The architecture and views are amazing. I always like staying in the center of the old town where all the action is and Hotel Lake Pichola sounds like it’s in the right spot. I love that there is a lake around it. There is no reason I shouldn’t go. I love it already. Thanks for dropping by Karla. That view of the river by the hotel is breathtaking. I can definitely understand why it’s dubbed as Venice of the East. It looks romantic. I’m curious about that music instrument that the guy has in one of the photos. What is it called? I am particularly fascinated with old or traditional musical instruments and I think anyone who can play them are amazing. I mean everyone can learn to play the piano or guitar, but an old instrument, it takes someone special to do that. Hi Marge. 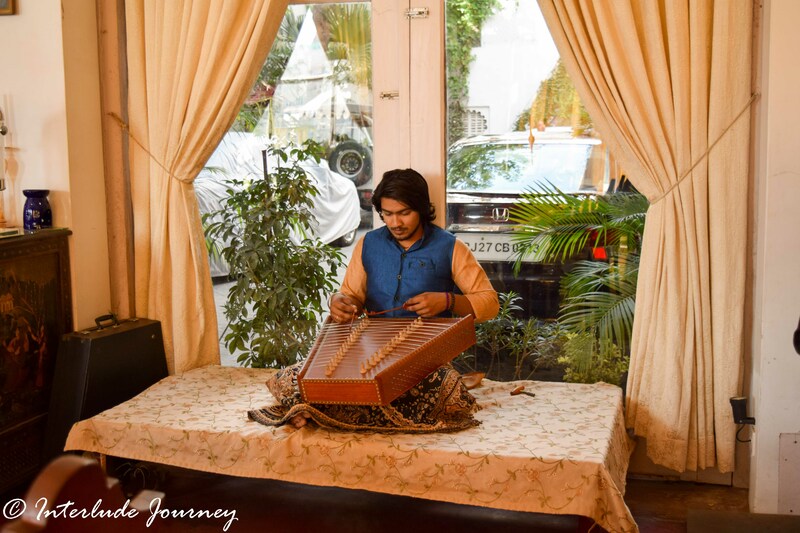 That instrument is called Santoor. It felt so magical to listen to the beautiful music while dining at the restaurant. Agree that it needs special skill to master an instrument like Santoor which has 100 strings. Hotel Lake Pichola looks like a stunning hotel – I like taking pictures of interesting properties so this place would be a dream for me! And it looks like the place is as beautiful in the day & at night. What was the food like at the Maharana restaurant? Hi, Sheena. The hotel was amazing and the view was breathtaking both in daylight and during night. We only had our breakfast at the maharana restaurant and it was par excellence with a wide spread menu including both Indian and continental food. 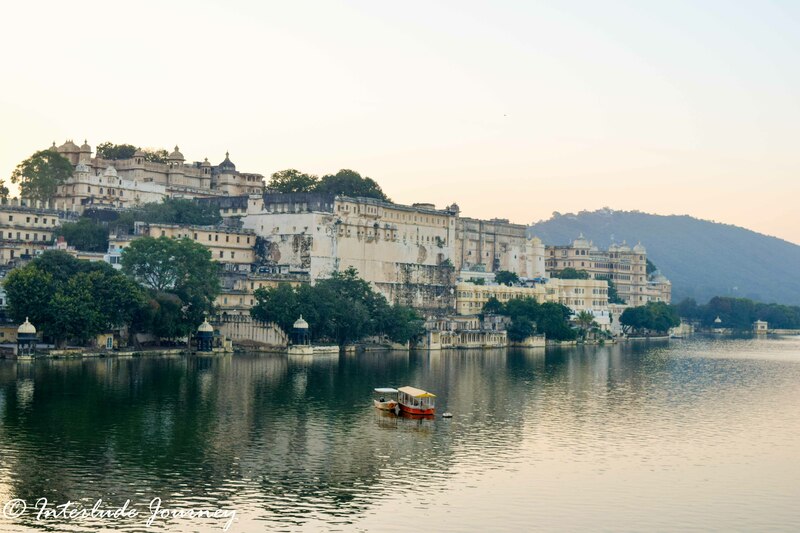 I hadn’t heard of the lake city of Udaipur before, thankyou for the introduction! Hotel Lake Pichola definitely sounds like it’s in the middle of it all – the whole setting looks like a dream! Hi, Megan. We are glad you find it dreamy. That was exactly our feeling during our stay. The hotel looks so stunning and incredible. The view of river and rooftop restaurant is captivating. Seems like a perfect place to stay when visiting Udaipur. All the pictures are amazing! It is in an ideal location and that is the biggest winning factor! The food and ambience is good too. I love the view of the lake. I’m convinced enough with the reasons you have provided. I like how this hotel look like and everything about it. I’ll surely penned this on my bucket list. Thank you so much for sharing! Hi, Lai. Thanks for dropping by. We are sure you would love to stay there.